An epic saga of 1970s African-American life in a Midwestern city is neatly, deftly, and evocatively compressed into three tales with overlapping characters—and destinies. In the lingering aftermath of Martin Luther King Jr.’s assassination in 1968, there was among African-Americans a sense of lost promise spiked with rage, anxiety, and drift. Yet by the early ’70s, there was also a burgeoning sense of pride, powered by a growing perception of the many possibilities King’s movement had helped to bring about. Asim’s novel, set in Gateway City, the same reimagined version of St. Louis he depicted in his short story collection, A Taste of Honey (2010), parses these seemingly disparate forces as they act upon characters whose fates overlap in three sections. In the first, Lorenzo “Guts” Tolliver, a reformed professional “leg breaker”–turned–cab-service proprietor, struggles to free himself of his violent past but still finds himself dodging trouble while doing favors for the local crime boss, Ananias Goode. In the second, Goode, who likewise seeks a quieter, gentler life, sees his own potential salvation in his secret, if peripatetic, romance with a socially prominent pediatrician, Artinces Noel. But the competing demands of their very different callings, along with those from within their volatile, at-risk neighborhood, keep getting in the way. The third section focuses on Charlotte Divine, raised a foster child on Gateway’s meaner streets, who is now making her way through college—and through a romance as challenging as those faced by the other major characters. This narrative suite covers a lot of psychic, cultural, and historic ground, and its nature can shift from crime and suspense to love and torment in a couple of pages. 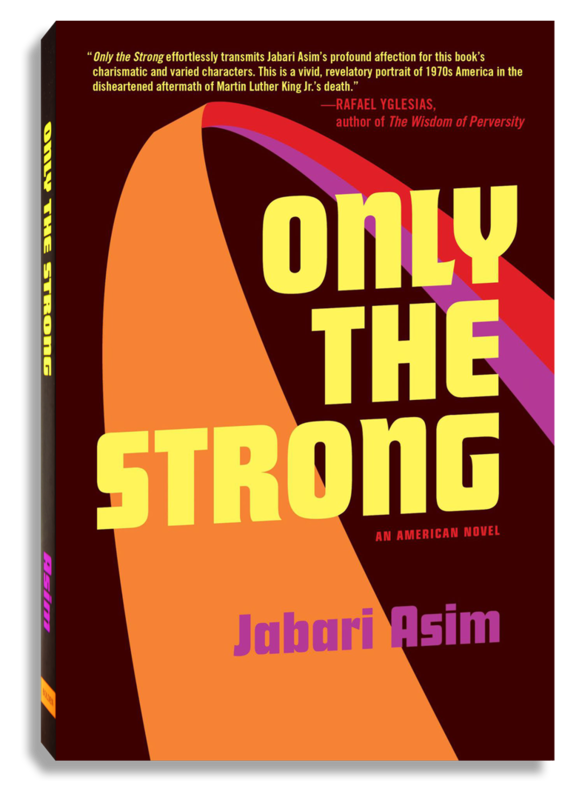 Yet Asim maintains impressive control of his sinewy style and elegiac tone while also remaining solicitous toward his hard-boiled but tender-souled characters. You will rarely find a historical novel that’s as panoramic yet also as lean, mean, and moving as this.